First map of motion of material on a star other than the Sun. Using ESO’s Very Large Telescope Interferometer astronomers have constructed the most detailed image ever of a star — the red supergiant star Antares. They have also made the first map of the velocities of material in the atmosphere of a star other than the Sun, revealing unexpected turbulence in Antares’s huge extended atmosphere. The results were published in the journal Nature. This short ESOcast takes a quick look at this remarkable result. Credit: ESO. To the unaided eye the famous, bright star Antares shines with a strong red tint in the heart of the constellation of Scorpius (The Scorpion). It is a huge and comparatively cool red supergiant star in the late stages of its life, on the way to becoming a supernova . A team of astronomers, led by Keiichi Ohnaka, of the Universidad Católica del Norte in Chile, has now used ESO’s Very Large Telescope Interferometer (VLTI) at the Paranal Observatory in Chile to map Antares’s surface and to measure the motions of the surface material. This is the best image of the surface and atmosphere of any star other than the Sun. 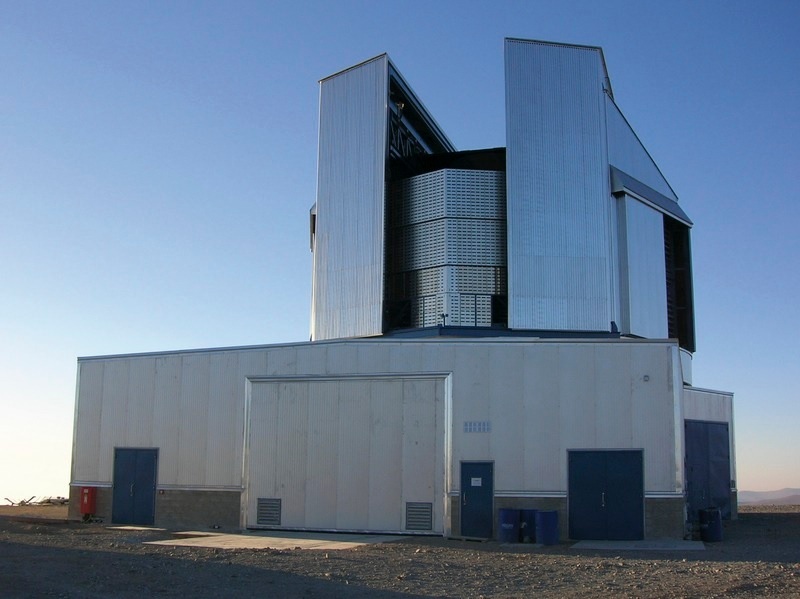 The VLTI is a unique facility that can combine the light from up to four telescopes, either the 8.2-metre Unit Telescopes, or the smaller Auxiliary Telescopes, to create a virtual telescope equivalent to a single mirror up to 200 metres across. This allows it to resolve fine details far beyond what can be seen with a single telescope alone. Using the new results the team has created the first two-dimensional velocity map of the atmosphere of a star other than the Sun. They did this using the VLTI with three of the Auxiliary Telescopes and an instrument called AMBER to make separate images of the surface of Antares over a small range of infrared wavelengths. The team then used these data to calculate the difference between the speed of the atmospheric gas at different positions on the star and the average speed over the entire star . 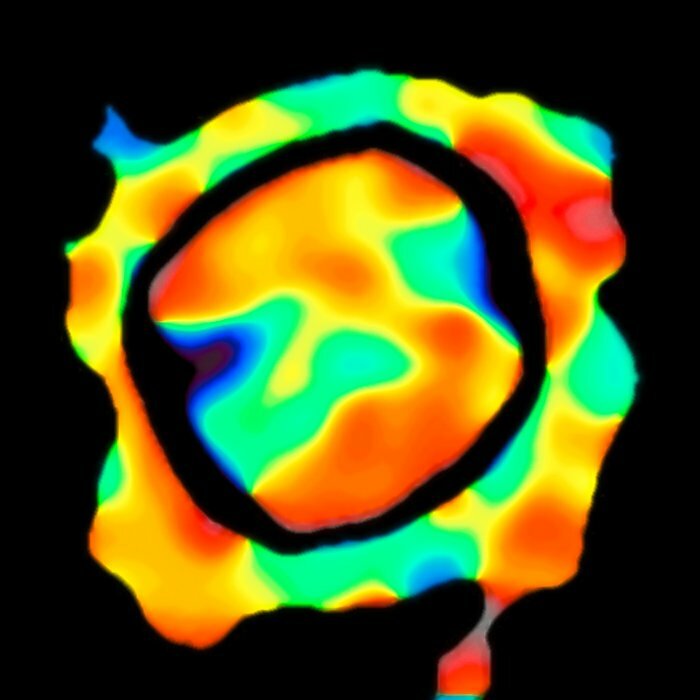 This resulted in a map of the relative speed of the atmospheric gas across the entire disc of Antares — the first ever created for a star other than the Sun.. The astronomers found turbulent, low-density gas much further from the star than predicted, and concluded that the movement could not result from convection , that is, from large-scale movement of matter which transfers energy from the core to the outer atmosphere of many stars. They reason that a new, currently unknown, process may be needed to explain these movements in the extended atmospheres of red supergiants like Antares. Antares is considered by astronomers to be a typical red supergiant. These huge dying stars are formed with between nine and 40 times the mass of the Sun. When a star becomes a red supergiant, its atmosphere extends outward so it becomes large and luminous, but low-density. Antares now has a mass about 12 times that of the Sun and a diameter about 700 times larger than the Sun’s. It is thought that it started life with a mass more like 15 times that of the Sun, and has shed three solar-masses of material during its life. The velocity of material towards or away from Earth can be measured by the Doppler Effect, which shifts spectral lines either towards the red or blue ends of the spectrum, depending on whether the material emitting or absorbing light is receding from or approaching the observer. Convection is the process whereby cold material moves downwards and hot material moves upwards in a circular pattern. The process occurs on Earth in the atmosphere and ocean currents, but it also moves gas around within stars. This research was presented in a paper entitled Vigorous atmospheric motion in the red supergiant star Antares, by K. Ohnaka et al., published in the journal Nature.